A team of researchers from The University of Western Australia and two Canadian universities has applied a first-of-its-kind technique that measures the long-term life cycle of sulphur, helping to explain the preferential location of high-value mineral deposits at the edges of ancient continents. 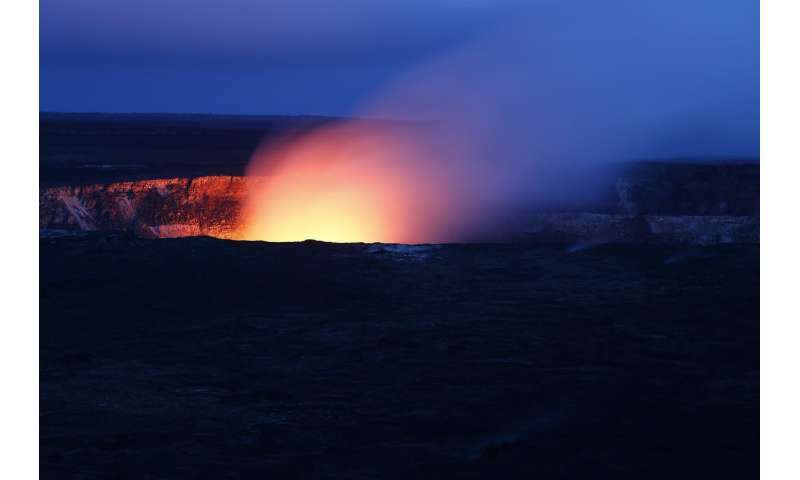 The study, published today in Nature Communications, charts the life cycle of sulphur over hundreds of millions of years, from its origins as a volcanic gas emitted into the primordial atmosphere and oceans, and all the way throughout its journey across the earth's deep crust. Sulphur plays a critical role in a variety of fundamental earth processes as it regulates the global climate, is essential to the living cell, and is the primary molecule necessary to transport and concentrate precious metals such as gold and platinum. The team, which included researchers from Canada's Université Laval and McGill University, initially set out to better understand the behaviour of sulphur in the ancient earth. During the process the researchers were able to create a technique using sophisticated technology based at UWA that could help explorers identify new mineral-rich provinces in Australia and around the world. Co-author Associate Professor Marco Fiorentini, from UWA's School of Earth Sciences, said that the largest and richest deposits of precious metals in Australia and on Earth were generally associated with large concentrations of sulphur-rich minerals. "By understanding how and where sulphur is stored researchers can make predictions about the location of mineral deposits," Professor Fiorentini said. "Just as a medical dye may be used to unveil the intricate pathways of the inner human body, we have developed a technique to illuminate the cryptic pathway of sulphur through the crust of our planet more than two billion years ago." The technique presents a new way to engage with the minerals industry, helping them to explore vast areas of the planet that may host valuable resources.